There are probably as many gin recipes as there are distillers but you have to find the perfect combination for a good tasting. A team from Bas-Saint-Laurent relied on seaweed, a product of an unknown marine terroir. With a subtle hue, but very present. The bottles of St. Laurent gin carefully aligned on the display all contain a liquid with green highlights. “Our gin is one of the few that are not sweet, but rather salty, like the river,” says Jean-François Cloutier, co-founder of the distillery and responsible for production. Bingo: this slightly smoky, strong iodine flavor was what they were looking for to stand out while anchoring in the Quebec terroir as this large brown seaweed, which looks like giant lasagna leaves, is particularly abundant in the Saint -Laurent, from Rimouski to Gaspé. 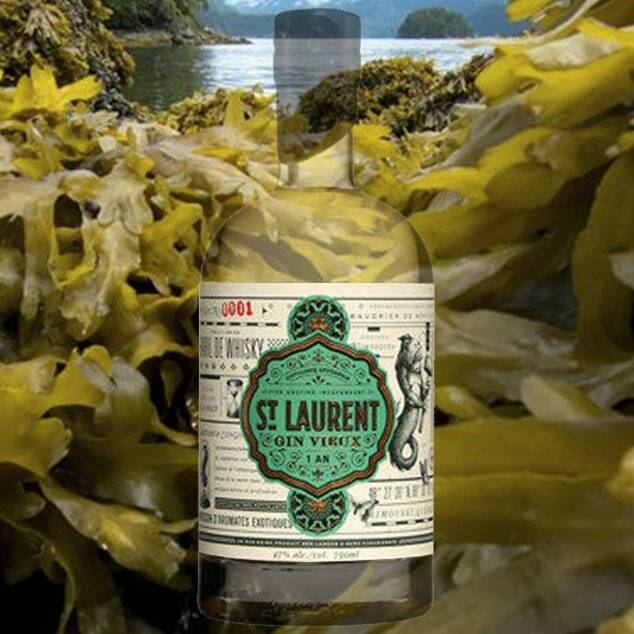 Nevertheless, even though it has been very successful thanks to seaweed – some 100,000 bottles of seaweed gin have been sold to date – the St. Lawrence Distillery is now turning to products without algae. This pioneer of microdistilleries in Quebec has been selling a white corn whiskey, Moonshine, since last year, and in 2017 launched the production of a whiskey aged three years in oak barrels, the first bottles of which can be tasted in 2020.